During an emergency, reliable communication is critical. Staying informed with clear radio transmissions between first responders inside a building and emergency personnel outside the building can help prevent further injuries and save more lives. Emergency Responders lose communications when in-building radio signals are weakened by structures such as concrete, windows, and metal. 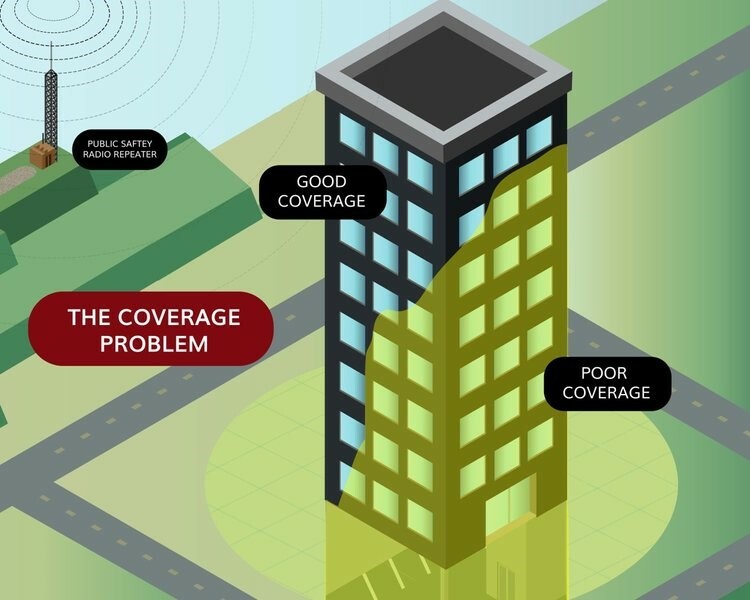 The Bi-Directional Amplifier (BDA) System, also known in some markets as DAS- Distributed Antenna System, is a signal boosting solution designed to enhance in-building radio frequency (RF) signal coverage for public safety radios. An RF survey is conducted to determine if a building requires a BDA system. This survey, typically conducted by a specialized FCC GROL certified technician and some fire department radio personnel, measures the current buildings Downlink/Uplink signal strengths in decibels-milliwatts (dBm). Survey results are submitted to the Authority Having Jurisdiction – who will determine if a BDA solution is required. 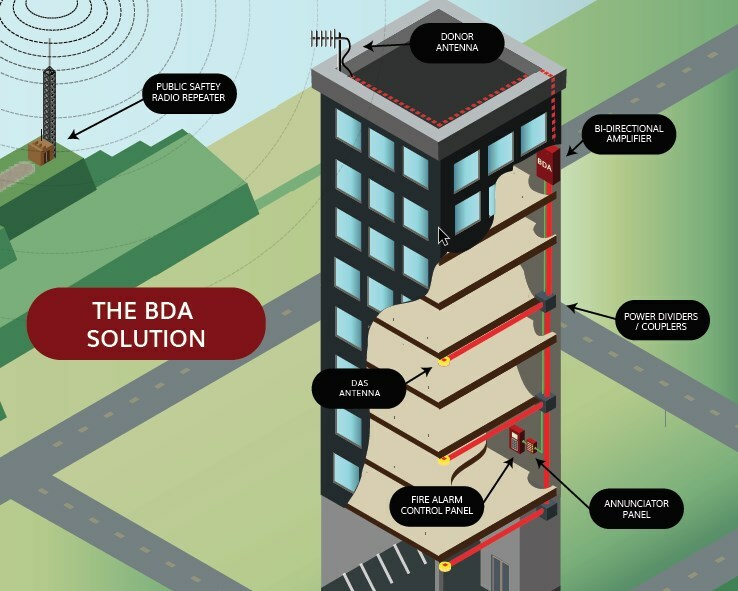 Tested and evaluated in accordance with UL 2524 1st Edition requirements for In-building 2-Way Emergency Radio Communication Enhancement Systems, Notifier BDA solution enhances two-way radio signal strength inside buildings, tunnels, and other structures. Our Class B, Bi-Directional Amplifier Solutions are a high power, band-selective radio signal booster system that can be designed and customized to meet all public safety frequency band ranges. Any building that is identified and inspected under local ordinances and/or is requiring public safety permits. Many facilities now require BDA installation with new or building renovation permits and certifications. Anyplace where first responders, maintenance, and security personnel need to maintain constant two-way communications. Check with your local municipality or Fire Department for your local requirements. Our FCC GROL certified team will assess your specific buildings needs with an on-site evaluation. Each structure is unique therefore so must the system design be. DynaFire provides design services on BDA equipment and installation. All DynaFire BDA designs comply with government mandates and Code Compliance. Being a Full-Service organization, our work does not end after design and installation. We offer maintenance and Test & Inspection services to maintain a healthy BDA system so our clients and emergency personnel can have the peace of mind that, should an emergency happen, communication would go uninterrupted.